This project explores gradations of urban campus space from public to private, inside to outside. A spatially-layered entry sequence blurs the line between inside and outside. 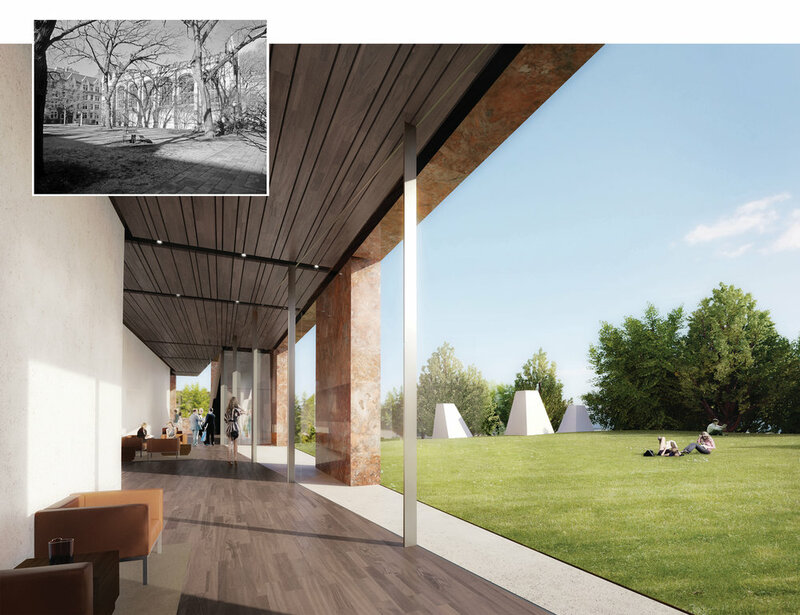 On the second level an outdoor room is created with trees encircling a large grassy space conjoined with an interior lounge. At the roof, a partially-enclosed open air room offers views of the surrounding city through carefully arranged apertures.